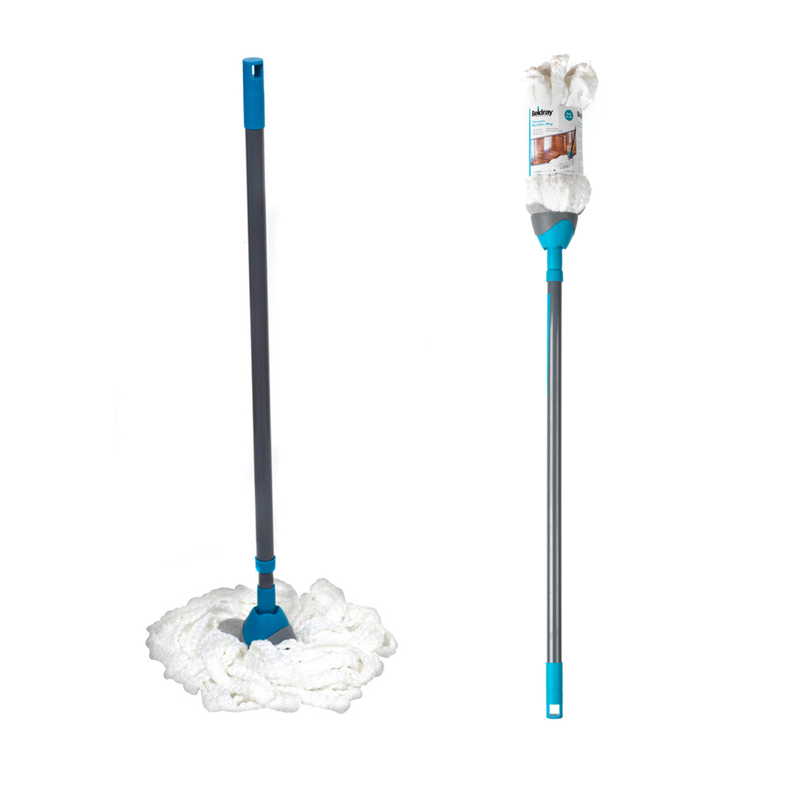 Discover an efficient way to clean your home with this 7 piece Beldray set. 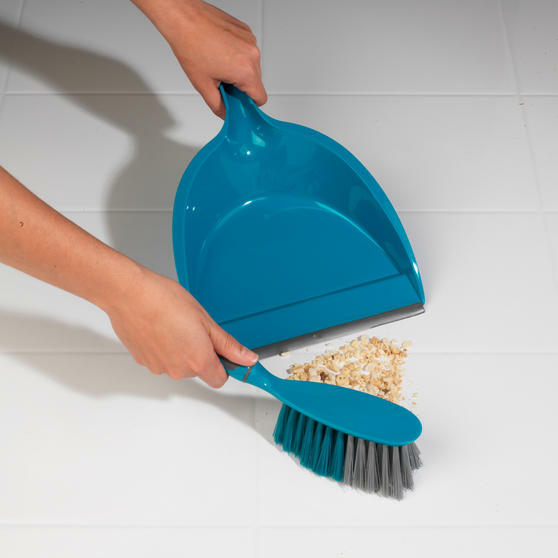 It contains a microfibre mop, mop bucket, steel broom, dustpan, brush, scrubbing brush and a dishwashing brush. 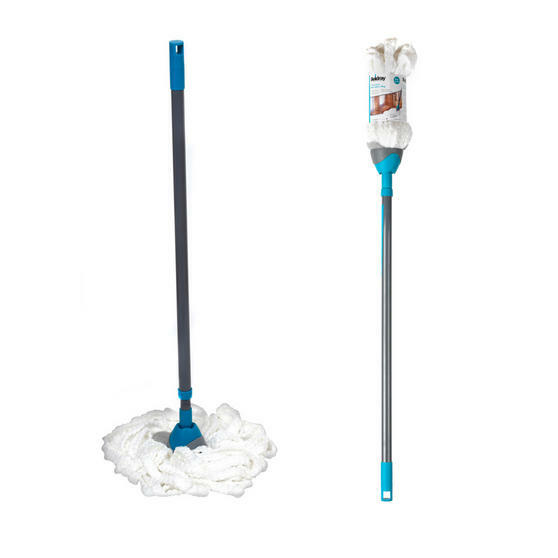 The mop handle extends up to 120 cm so you can clean into tight spaces or underneath furniture. 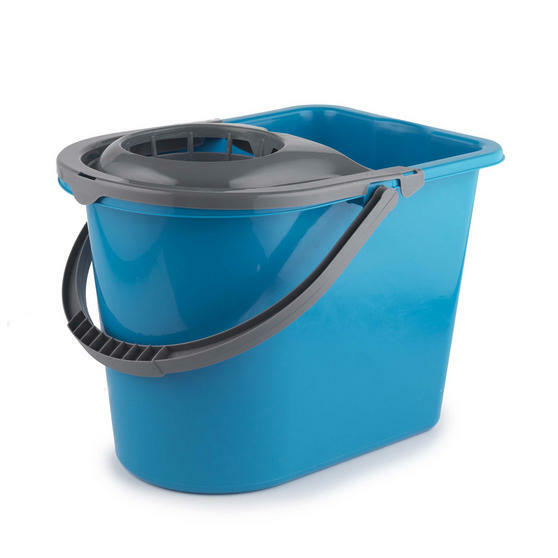 The mop bucket holds up to 14 litres of water and thanks to its handle it is easy to carry. 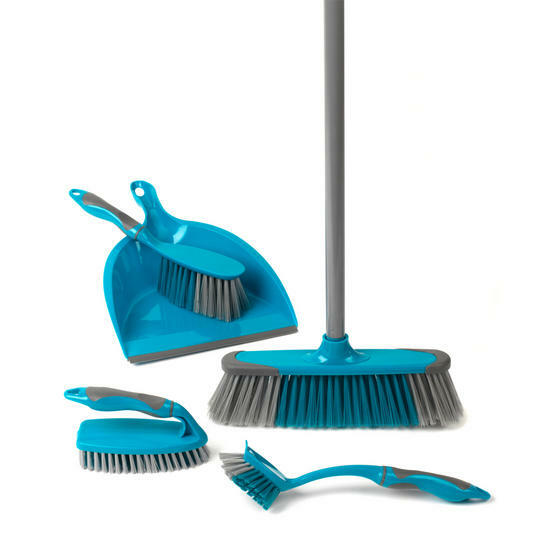 Broom, dustpan and the three brushes come in a matching turquoise and are made from durable material. 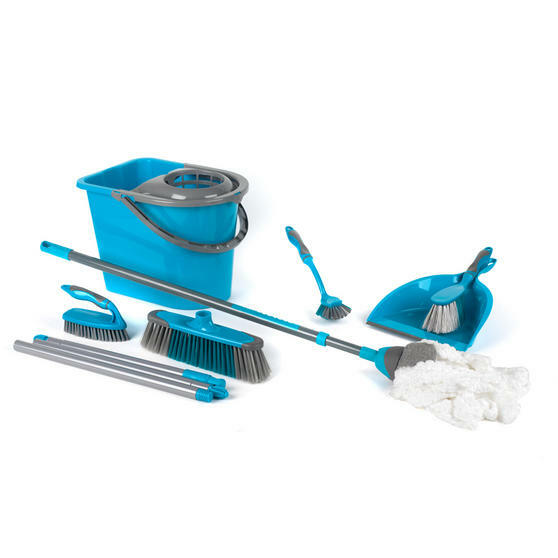 This 7 Piece turquoise Beldray set contains a Mop, bucket, steel broom, dustpan, brush, scrubbing brush and a dishwashing brush. The steel broom, dustpan and the brushes are perfect if you want to give your home a thorough clean both inside and outside. 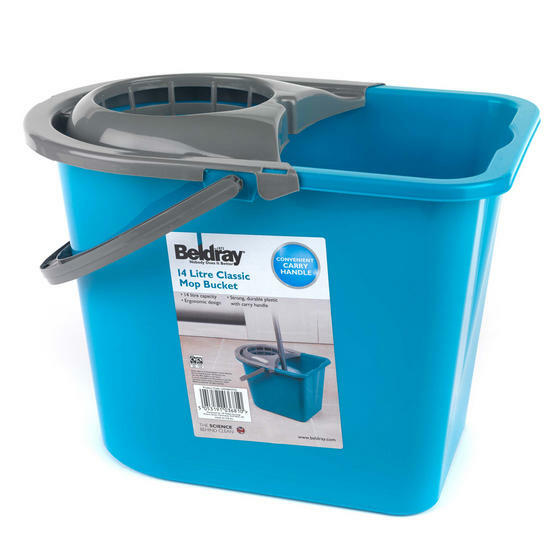 The Beldray mop bucket is made with high quality plastic to prevent cracks and remains a long-lasting staple in your cleaning cupboard. 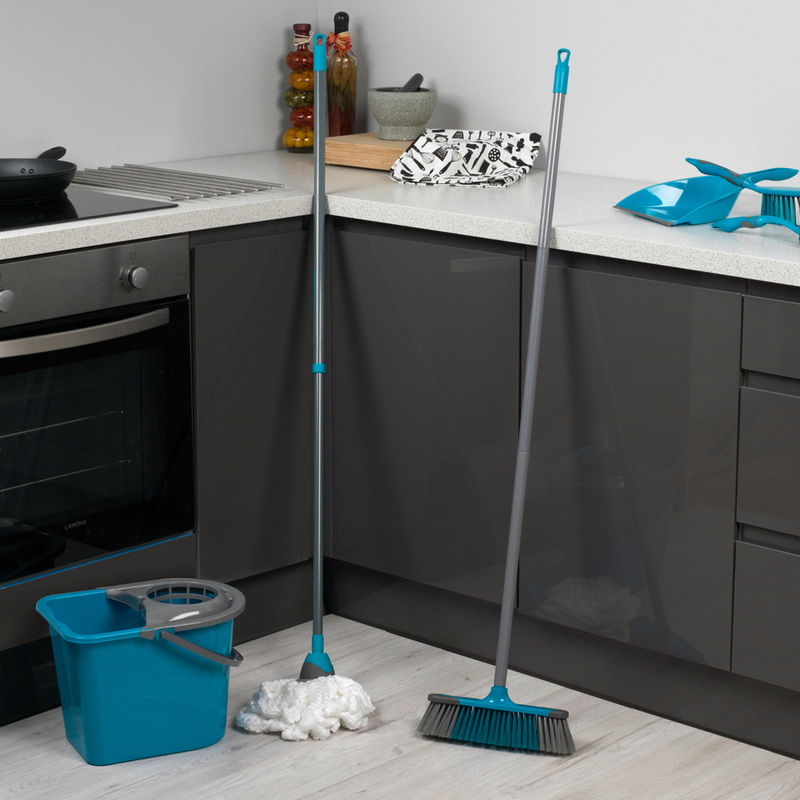 The tiered mop wringing system is wonderfully efficient, making your floors dry faster and keep them sparkling for much longer.